The mixture of vegetables, crab, and chicken give it looks adorable yet healthy. A good choice to your health-concern customers. 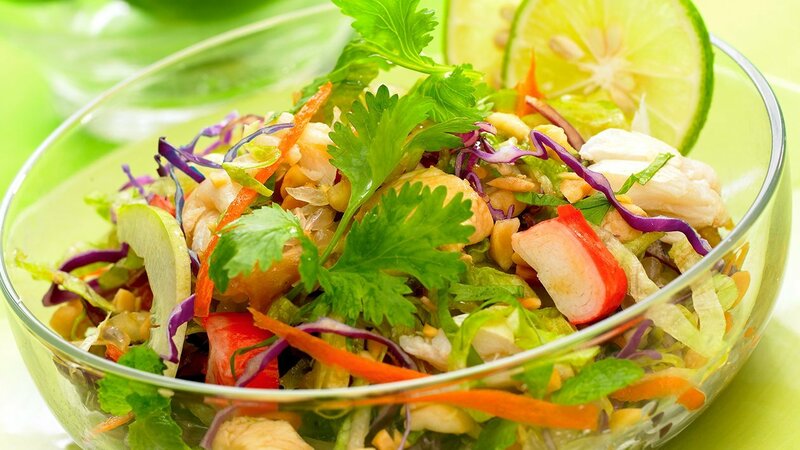 Mix the crab meat, chicken, carrot, cucumber, pomello, mint leaves, cabbage, red cabbage and fish sauce into a bowl. Then, add Knorr Lime Flavoured Powder and Knorr Chicken Powder. Serve it in a cool temperature.